1) Pay for the lesson package you want! 2) Text or Email me a video of your swing from Face-On and from Down-The-Line! 3) I will either voice over your video or video myself doing what you need to work on to get better! This is the "Ultimate Quick Fix"
Turnaround time is <24 Hours. Two Online Video Lessons per month! Best Damn Video Lesson Subscription... Period!!! 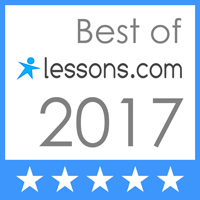 Three Online Video lessons per month.... This is basically online personal coaching!